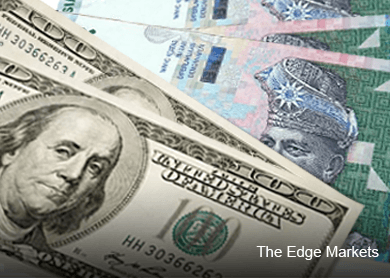 KUALA LUMPUR (June 29): The ringgit fell to a 10-year low as investors weighed whether Fitch Ratings would downgrade Malaysia and a worsening situation in Greece deterred risk-taking. The MSCI Asia Pacific Index declined for a fourth day as Greece imposed capital controls and shut lenders Monday to avert the collapse of its financial system. Fitch, which ranks Malaysia at A- with a negative outlook, the fourth-lowest investment grade, will review its assessment before the end of June, Andrew Colquhoun, head of Asia Pacific sovereign ratings in Hong Kong, said last week. The country is “more than 50 percent likely” to be downgraded, he said in March. The ringgit dropped 0.4 percent to 3.7830 a dollar as of 9:13 a.m. in Kuala Lumpur, data compiled by Bloomberg show. It fell to 3.7843 earlier, the weakest since July 2005, and has lost 7.5 percent this year in Asia’s worst performance. Fitch’s Colquhoun cited Malaysia’s worsening trade balance and concern about the ability of 1Malaysia Development Bhd., a state investment company, to meet its debt obligations, when he warned of a downgrade in March. Exports fell 9 percent in May from a year earlier, following a 8.8 percent decline in April, according to a Bloomberg survey before data due July 3. Malaysia’s government bonds fell. The yield on the five- year notes rose two basis points to 3.65 percent, while that on the 10-year securities was steady at 4.04 percent, according to data compiled by Bloomberg.